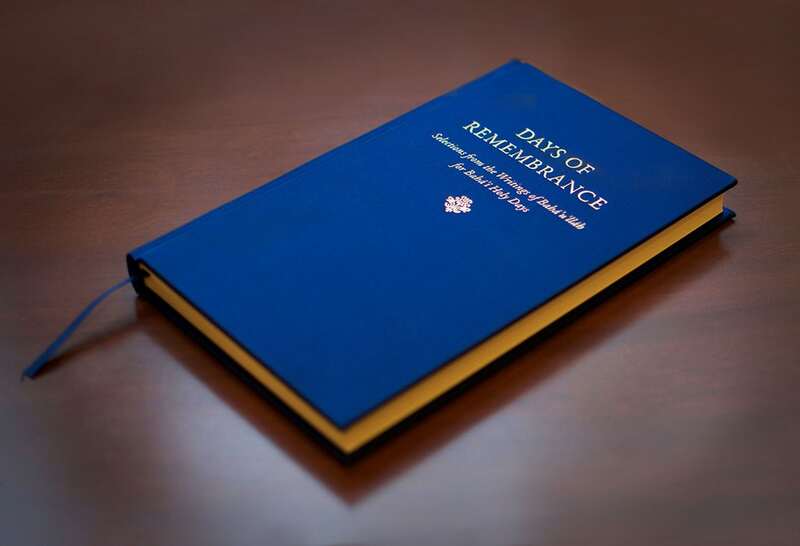 Published by the Bahá’í World Center in 2017, the year marking the Bicentenary of the Birth of Bahá’u’lláh, Days of Remembrance offers a treasure trove of 45 selections of Bahá’u’lláh’s Writings that bear upon the Bahá’í holy days. Among these selections are excerpts from various tablets, such as the Surih of Counsel, the Surih of the Kings, the Surih to Salman I, as well as entire tablets previously unavailable to the English reader. The Tablet of the Lover and the Beloved, the Surih of the Pen, the Tablet of the Bell, the Tablet of the Immortal Youth, and the Tablet to Maryam are some of the tablets revealed by Bahá’u’lláh that are now available for readers to peruse in the course of individual reflection and for communities to draw upon to enrich their observance of the Bahá’í holy days. These selections represent what the authors of the preface describe as “different revelatory modes.” Some are celebratory and retain, even in the English, the intensely poetic character of their parent texts, while others are epistolary tablets, addressed to individual believers in specific contexts. Eight of the selections were translated by Shoghi Effendi, and the reader will likely recognize some of these: for example, the well known Ridvan Tablet in which the advent of the Divine Springtime is joyfully announced. However, most of these tablets are available in English for the first time. The publication of a selection of authoritative translations of tablets revealed by Bahá’u’lláh that bear upon the Bahá’í holy days, seems a fitting way to commemorate the Bicentenary of the Birth of Bahá’u’lláh. And in the years to come, these eloquent translations will be appreciated by individuals and drawn upon by communities in honoring the sacred moments in time and religious history the Bahá’í holy days commemorate.